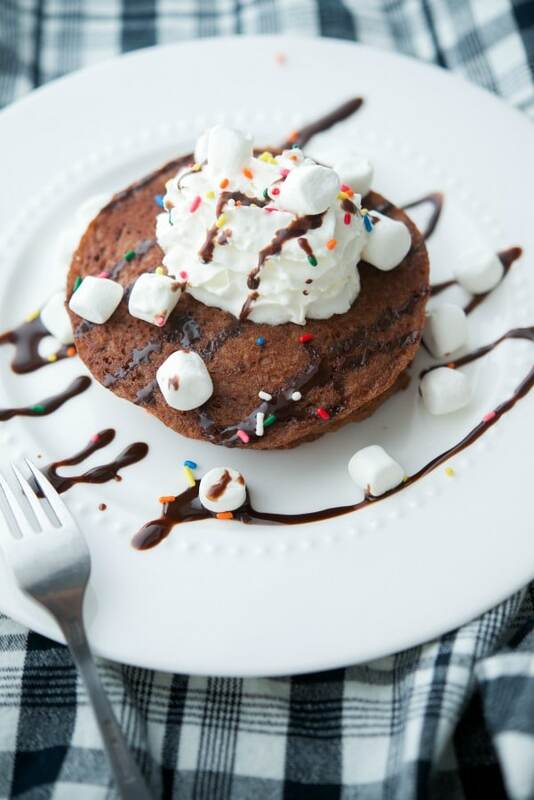 These Hot Chocolate Pancakes made with gluten free Bisquick, chocolate milk, and cocoa powder will make a great start to your morning. 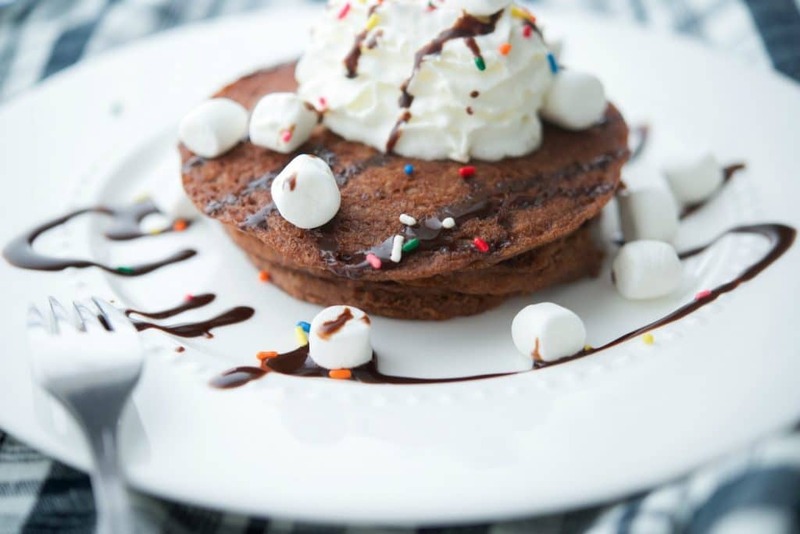 Since I haven’t made a new breakfast recipe in a while, I decided to experiment with one that will be sure to please any chocolate lover; Hot Chocolate Pancakes. Normally, I’m not a big pancake aficionado for breakfast. Mainly because I’ve been trying to stay away from gluten as I’m finding that I have certain sensitivities to it and actually prefer protein vs. carbs in the morning to get me going. 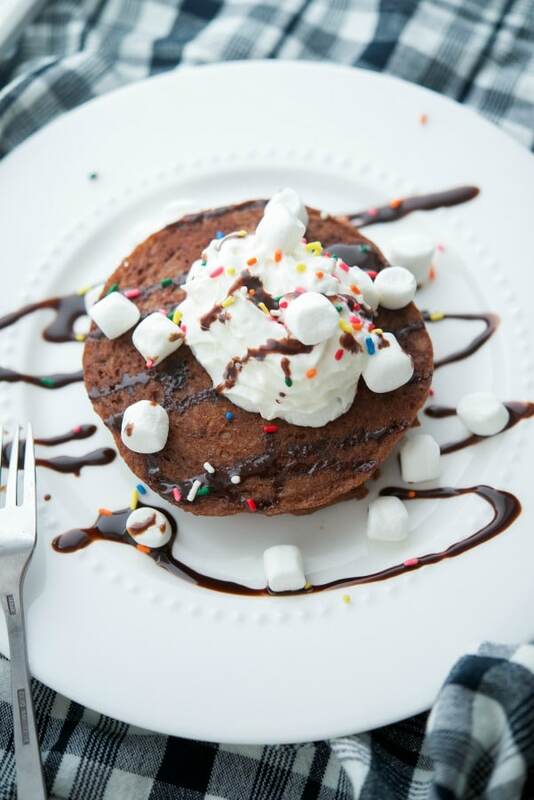 My kids; however, LOVE pancakes so I wanted to try to make a gluten free version that were delicious enough for them to enjoy as well. 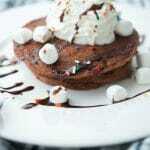 So I combined two things they absolutely love during the Winter months: hot chocolate and pancakes. 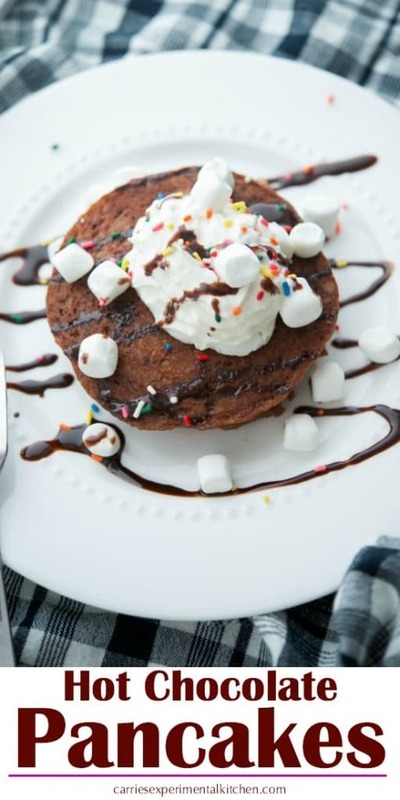 Of course, I had to add some chocolate syrup, whipped cream, marshmallows and a few sprinkles just for fun, but these pancakes were pretty tasty. 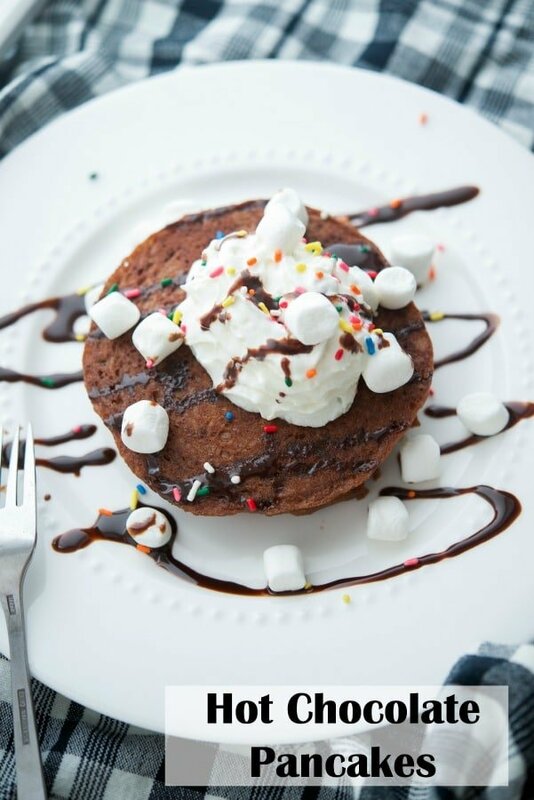 To make this recipe, you’ll need gluten free Bisquick Pancake & Baking Mix, chocolate milk (I used 2%), egg, oil, vanilla extract, granulated sugar and unsweetened cocoa powder (toppings are optional). Start by combining all of the ingredients in a mixing bowl and whisk until smooth. Next, preheat a nonstick griddle pan and either melt butter or spray with cooking spray. The griddle is hot if bubbles start to jump around when you place a few drops of water on the pan. For each pancake, measure out a little less than 1/4 cup of batter onto the hot griddle. 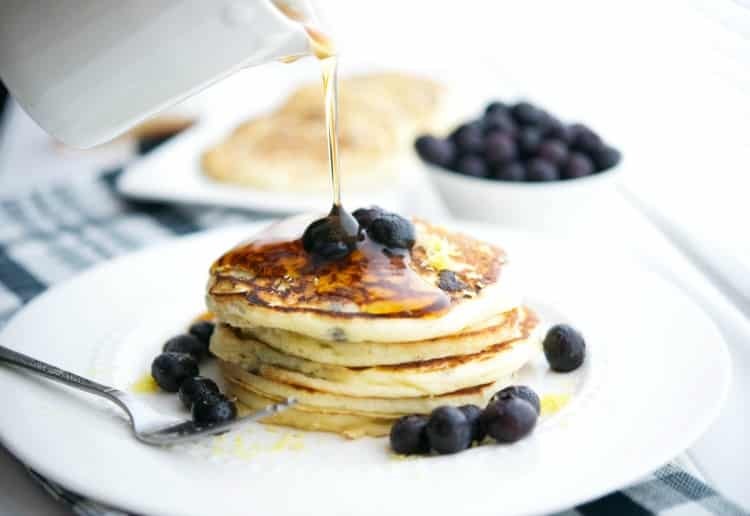 Cook each pancake 2-3 minutes or until the top is bubbly and dry around the edges; then flip and cook the other side until light golden brown around the edges. 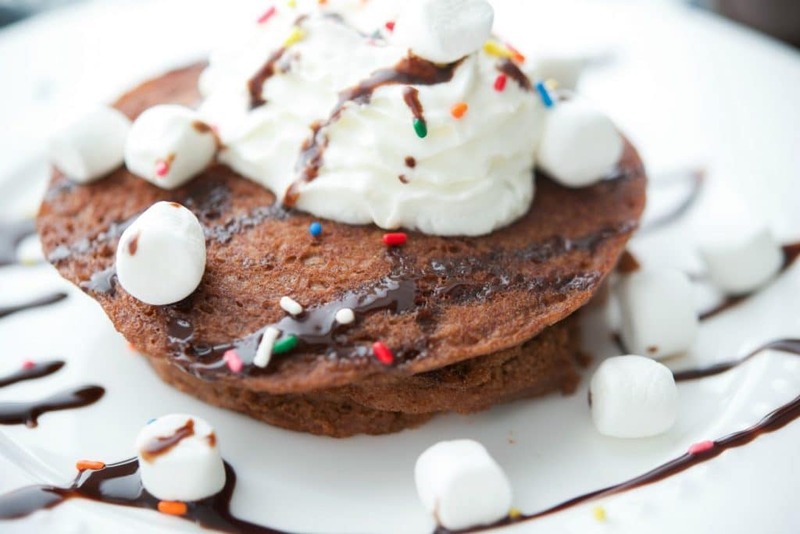 This recipe for Hot Chocolate Pancakes makes 8 pancakes and were not overly sweet, like I originally thought they might might be. ~Enjoy! Combine all of the ingredients in a mixing bowl; then whisk until smooth. Next, preheat a nonstick griddle pan and either melt butter or spray with cooking spray. For each pancake, measure out a little less than 1/4 cup of batter and place on the hot griddle. 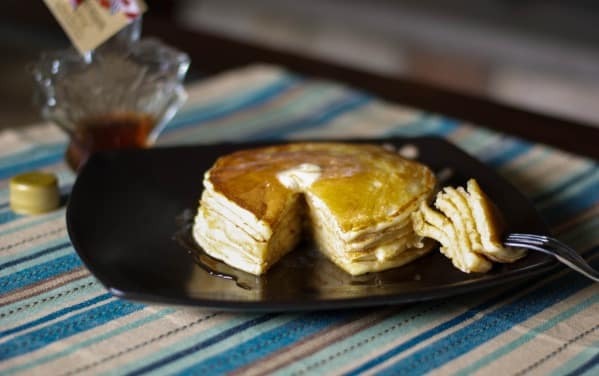 Cook each pancake 2-3 minutes or until the top is bubbly and dry around the edges; then flip and cook the other side until light golden brown around the edges. Top with your favorite toppings. *The griddle is hot if bubbles start to jump around when you place a few drops of water on the pan. 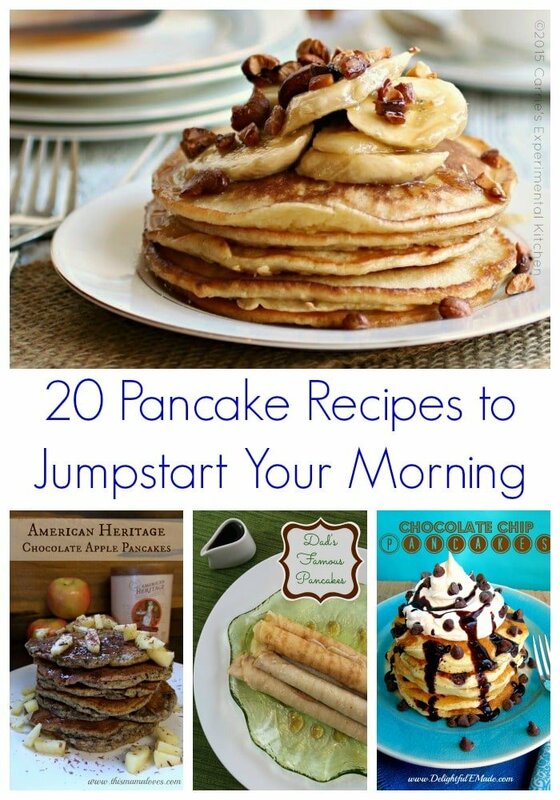 For more breakfast recipes, visit the Recipe Index or my Pinterest board!